. كما يقدم جاردن لودج سيدني الكثير من الخدمات لإغناء رحلتك في سيدني. يمكن لضيوف الفندق الاستمتاع بالميزات التالية على أرض الفندق: واي فاي مجاني في جميع الغرف, أمن على مدار 24 ساعة, متجر, خدمة التنظيف يوميًا, خدمة غسيل ذاتية . في الفندق غرف نوم يتجاوز عددها 32، كلها مجهزة بعناية وجمال وبعضها مزود بـ تلفزيون بشاشة مسطحة, رف للملابس, اتصال لاسلكي بشبكة الإنترنت (مجاني), حوض الاسترخاء, غرف لغير المدخنين. يقدم الفندق العديد من الفرص للاستجمام كمثل سبا. إن كنت تتطلع إلى إقامة مريحة وهادئة في سيدني، فستجد في جاردن لودج سيدني بيتك الثاني. يرجى ملاحظة أيضًا أن النزلاء الذين يصلون بعد الساعة 06:00 PM يجب عليهم إبلاغ الفندق مسبقًا. بيانات الاتصال موجودة في تأكيد الحجز. يجب على النزلاء إبلاغ الفندق مسبقًا بموعد وصولهم التقديري. يمكن الإشارة إلى ذلك في مربع "الطلبات الخاصة" أثناء الحجز أو عن طريق الاتصال بالفندف مباشرة باستخدام تفاصيل الاتصال الموجودة في تأكيد الحجز. يرجى ملاحظة أنه سيتم أخذ تصريح مسبق لبطاقة الائتمان أو مبلغ نقدي بقيمة 200 AUD كوديعة عند تسجيل الوصول. سيتم فرض رسوم إضافية بقيمة 25 دولار أسترالي على النزلاء الذين يسجلون الوصول بعد الساعة 11:00 مساءً. It's basically like a motel but a very well kept area. Center breakfast & hang out area well taken care off with beautiful fairy lights view at night. Overall room is OK, just a musty smell that disturb me during the stay. Travel light as you need to carry your luggage up the stairs if you get the 1st floor room! we have stayed in Garden Lodge Sydney for about a week. a very nice, comfortable place. Staff are friendly & always there to greet us. The most important part, there is a private parking space. very convenient. we would definitely stay here again whenever we are in sydney. The hotel is very clean and peaceful. The enviroment very cool. Room was in good condition. Every room have balcony. Customer oriented hotel. There is nearby train station , light train station and bus station. Staff friendly. Cons- they need service their aircond. My money was very worthy. You can stay with as with family, as couple or solo. 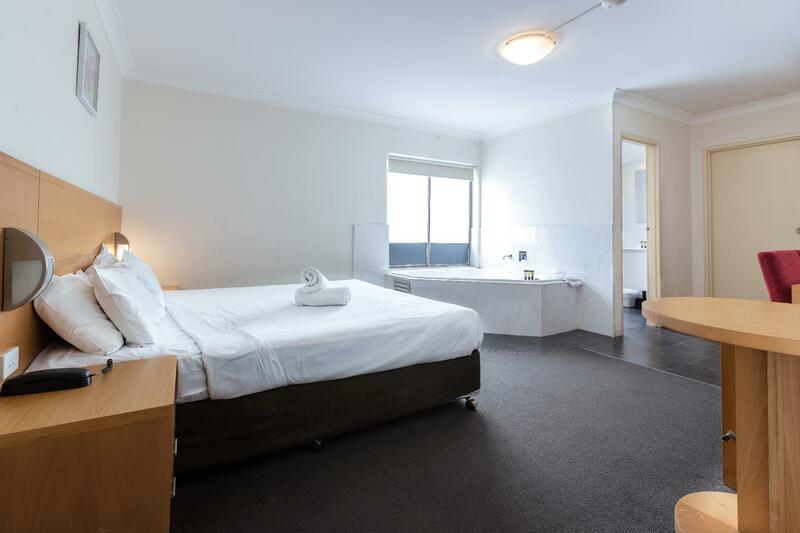 Great hotel at reasonable price, good size room for couple staying for few days, front desk and cleaning staff just outstanding and accomodating, laundry facility is a bonus, last but not least its location which is near the city centre accessable through light rail and train(walking distance to station). Free parking. great we-fi, good location. My second stay at Garden lodge. 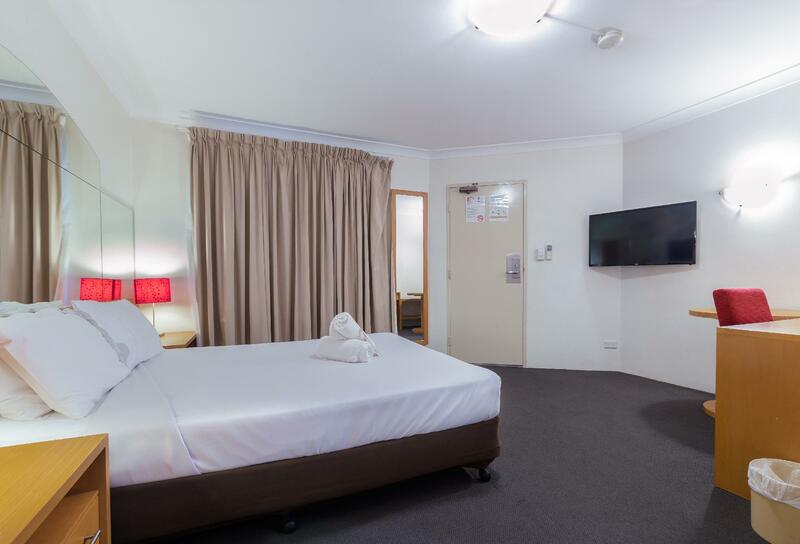 I would recommend this motel for its location, efficent staff, excellent laundry, fast free wi-fi, free secure parking, comfortable room and bed and quality of the fittings. The carpet in the foyer and on the stairs and hallways isseriously showing it's age though is definitely not a good first impression. I would stay at Garden Lodge again. Speedy checking, room was recently renovated with good bedding and nice linen, good soft towels. Shower had a tendency to splash out onto the floor as no real screen but all together a great place to stay. Breakfast area was unique in the atrium, it was cozy and comfortable, will come again. 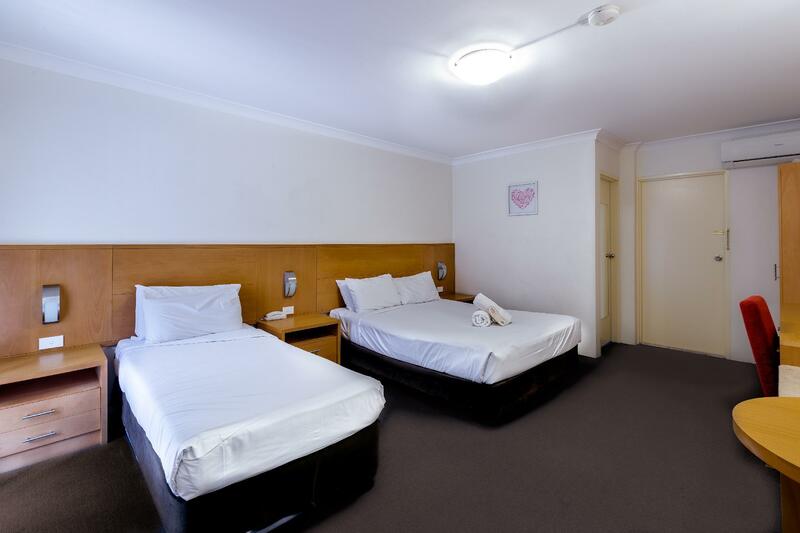 It is not at CBD of Sydney but the transportation is convenient.You take train(Summer Hill Station) and also bus to the motel.The room is tidy and you can enjoy the sunshine in front of the window.Compareing with other motels in Sydney,the space of the room is large and it is well-quiped as well,e.g.the fridge,A/C,safe box ect. Located near the city end of Parramatta Road, very close to light rail station, about 5 minutes walk from Summer Hill train station. No nearby dining options, but frequent light rail service got me to Darling Harbour quickly. Free parking was a bonus, around $40/day in Darling Harbour. Room was clean, a little bit cramped, my suitcase was too big for the shelf provided. Was only there for one night, but would be OK for a longer stay. Minor bugbear was table lamps instead of wall mounted, not so good for reading in bed. Good clean, comfortable hotel. Value for money, location is just a quick walk to the train station. We were in a room at the front, I was suprised there was no traffic noise. Beds are comfortable. Staff are friendly and happy to help with any questions. The place is about 5-10minute walk from Summer Hill Station. 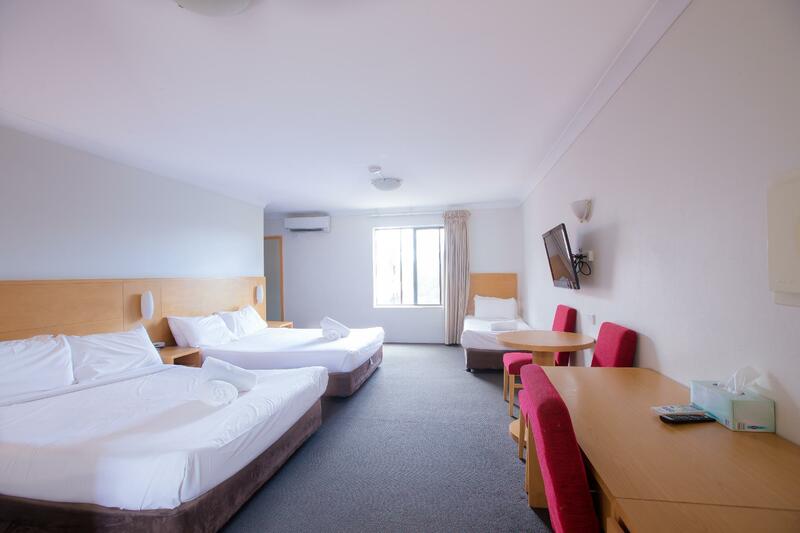 The room is spacious and well-maintained. They have a large common area where you can enjoy your meal. You can use their microwave, toaster and kitchenware in the said common area. It provides a great ambiance as it's either open roof or the roof is transparent (I'm not sure which is it). Sure, the Motel is showings it's age however, it was comfortable, clean & had all that's required for a short stay. 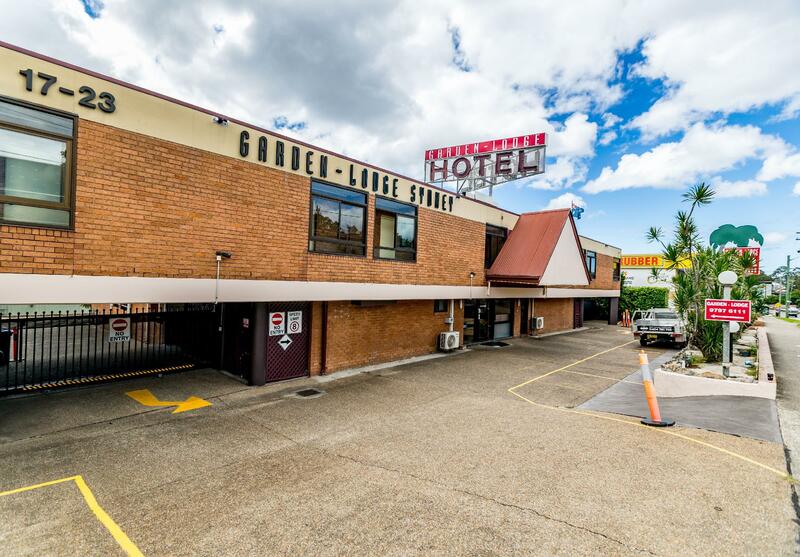 Bus to the city is just down the road, parking is secure and a basic breakfast is available & although on busy Parramatta Road, traffic noise was acceptable. Was very pleasantly surprised by the size of the room. Loved the convenience to light rail (2 minutes walk). Secure parking facilities. Great value. Bathroom could be improved with better lighting and a better shower spray. Enjoyed my stay and will stay here again. The property was clean and had the essential features such as tv air con fridge and free WiFi. The location is right in main road with frequent bus and light rail options. The rate was very reasonable and we were satisfied with our stay. The customer service was exceptional. We were greeted by a lovely young man who was really helpful and went out of his way to make us feel welcome. He also recommended some pizza restaurants nearby. We went to an amazing one for dinner. Location is excellent with 2 minutes' walk to light rail station and 6 minutes' walk to the Summer Hill train station in a quiet peaceful suburb. 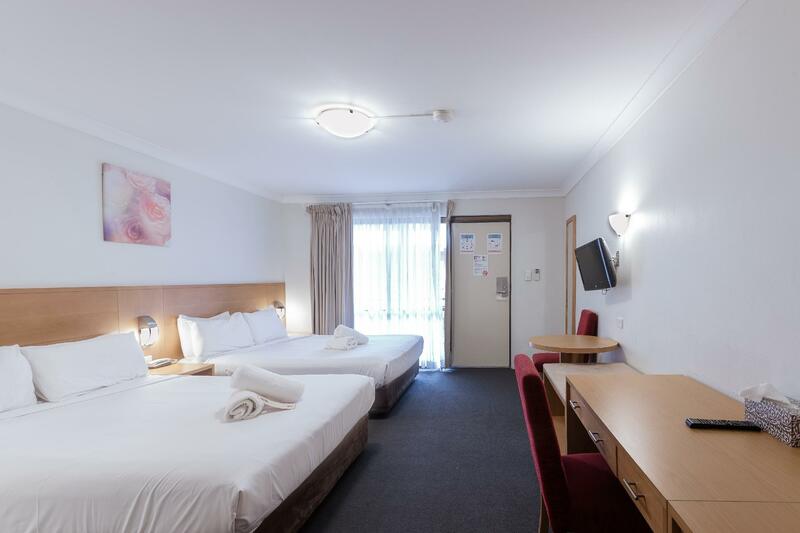 Room is spacious and relatively soundproof from the busy Sydney traffic outside. Friendly, kind-hearted and helpful counter staff is another plus. Near train station but we drove. Take away pizza, restaurant and convenience store just beside main lobby. Parking is expensive in Sydney, whole day parking available at hotel for $25. New building needs to climb few stairs to reach.